The 24th annual Honda Celebration of Light fireworks festival is set for Saturday July 26, Wednesday July 30 and Saturday August 2 and features competition from USA, France and Japan. This year’s SHOREfest, presented by LG 104.3 and headlined by Saskatoon’s Juno award-winning band The Sheepdogs, is now bigger than ever thanks to the addition of local favourites, 54-40 and The Odds headlining the remaining two nights on the SHOREfest Stage at English Bay. 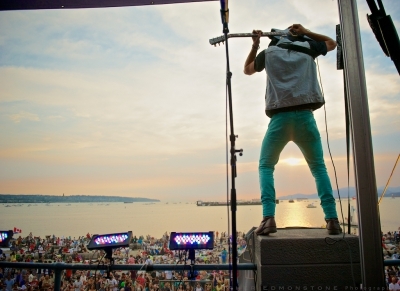 For the full schedule of free concerts at this year’s SHOREfest, click here. Want to win free passes for the YVR Observation Deck this Saturday night? Here’s how! 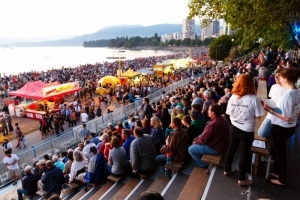 Each night of the Honda Celebration of Light, the West End BIA is giving away free passes to the YVR Observation Deck so you can enjoy the fireworks in style. Want to enter? Share this blog before Friday, July 25 at 12pm using the buttons below. We’ll announce a winner Friday afternoon.